well we have been a bit busy have we not? I cannot believe it is already August 2014!! Bang on schedule our new website was launched and it really is different is it not!? Mitchell has been working away on the videos after his daytime job with me, after farming late into the nights to get it all done and it was only three weeks late in the end! I have to say in the rain and birthing lately as an Alpaca farmer, my “entrepreneurial” side seems a lifetime away… but we have TEN – yes TEN lovely healthy girls so far and TWO boys so far which is a fantastic result. As always, there were some that simply did not hold over the winter and some that are struggling to get pregnant in the weather conditions but that’s Alpaca for you. Many before dawn matings in this heat and I joke not! There is not one single Alpaca farmer I have spoken to this year who has not had issues as a result of the weather – either pregnancy losses or mortality rates post birthing and of course grass conditions at the moment in the heat wave are dire. Shearers have been challenging for some – we have always been lucky so far with extremely reliable shearers but then we do shear early here because we have always had barns since 2008 in case of inclement weather. 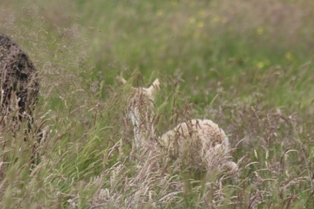 Anyway, much needed rain falling as I type and the cria when I finally remembered to take a camera out were less than obliging as you will see…thank goodness in this heatwave we left half of each field untopped this year! and one at this point yet to make an entrance! 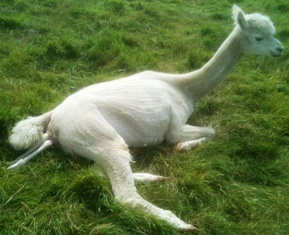 wow – this is just a quickie as the nursery of premmie cria is filling rather rapidly. We had two born last monday and two more premmies yesterday – one at 310 days. Again Emily was on hand to assist through it all, we nearly lost the mother to a long drawn out birth in the heat but I managed to save both for the time being. not out of the woods by a long chalk on the smallest born monday and time will tell on yesterdays… but fingers crossed and this one who is simply gorgeous! this is the first cria born to Kensmyth Bequest who is sired by EPC Cambridge Navigator, who sold for some mere £75,000.00. This is a strong healthy boy with a fleece that is out of this world. Destined for a superb stud male. “Navigator was the undefeated supreme champion of the UK 2009 show season winning Nationals,Royal Bath and West and the biggest show that year the SWAG show. Kensmyth Bequest mated our girls last year and so far born – conformation, temperament and fleeces to match. wow! 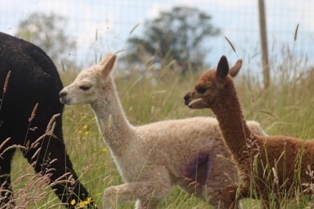 the others are doing well but for those who understand Alpaca premmies, there’s bottle feeding, coating, uncoating, weather watching, milking the mother and a whole host of baby care additional tasks in just keeping them alive. 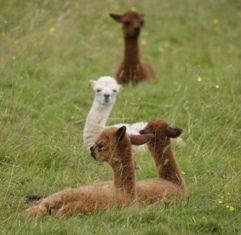 the changing climate seems to be bringing more and more premature cria and dysmature cria as the months pass. or the numerous other influences of climate change. 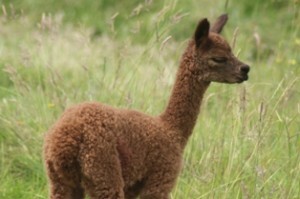 i have yet to speak to a single Alpaca stud who has not had a premature cria so far this year, if not several. well I seem to be averaging 5-10 days between blogs due to being so frenetically busy! The boys have finished GCSE’s now – phew – so just the interminable wait for the results in August. It always seems nearly as bad as waiting on a cria. we have been delighted with our results so far in two girls and two boys. The two girls born some weeks ago now and doing well, the two boys both premature (very) and born yesterday. to help matters later, we had a downpour too. yesterday we had a lovely girl from the village called Emily come to be introduced to Alpaca Farming and to help with the fleeces. She had an absolute babtism of fire as we nearly lost one of the cria born yesterday and she was an absolute star. Well done Emily! photos to follow once we are sure the cria are out of the woods but as for fleeces from our Stud boys – looking fab so far. Happy Fathers Day to one and all. well its the longest time I have not blogged for but boy have we been busy. There is no point talking endlessly about Alpaca husbandry or waiting on late births because thats day to day ! So how about visitors to the farm falling in love with the Alpaca? another beautiful black female arrival!!! We have been sooo busy with the weather throwing everything at us. It is hammering it down as we speak and lucky we have Field Shelters in every field with hedges growing as quickly as they can! Mucking out the field shelters and barns, topping fields, looking after machinery, sanding down and repainting on this topper! 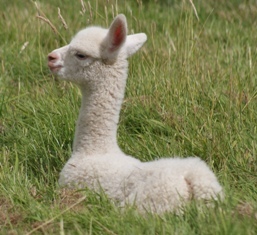 Cria weighing, worming, you name it! The little late cria has now been named… We usually have a “theme” each year for names, last year being the “Eighties” which included “Lickety Split, Hot Gossip, Talk of the Town, Tonka Toy ­ you name it! This year again we have a theme The luxury highly calorific cream pudding if you have not heard of it. Perfect and growing like mad, reaching 11kg within a week. Meantime, what else have we done? Oh, I managed a day off with hubby and sons in control and zoomed to see some friends in Cornwall; several weeks ago now. Being that far down, it was a delight to shoot in to see Gary and Felicia at Popham. Just in time to see one of their Appaloosa Alpacas being shorn. So cute. Oh and the ducklings all hatched – least said soonest mended.